I am always on the quest for organic matcha, so thank you Matcha Shiba sending me both your Diamond Class and Everyday Class Matcha for tasting. For the record, I may be biased here. I have always wanted a shiba inu dog, so I smile every time I see their logo! Matcha Shiba is certified organic in Japan (JAS - Japanese Organic Agricultural Standard, a fairly new certifying body established in 2000) and the US (USDA). The Diamond Matcha is bright green with a very slight, but fresh, vegetal aroma. Whether I made ushucha or koicha, it whisked easily and fully. With more water I could create a lovely thick frothy creama. The koicha had a wonderful consistency. I could detect a subtle umami flavor, but it was lighter than other brands I have had of late. To me, the Diamond Class was a bit more bitter than I prefer, and that note overpowered the umami finish initially. However, a minute or two later, the bitterness faded and a pronounced sweet and savory note came forth. Still, since this was organic matcha, I am pleased by the Diamond Class overall. It is harder for me to critique culinary grades unless an overwhelmingly bitter taste comes forth in the food or lattes. After opening the Everyday Class package, which came in a resealable bag versus the metal, vacuumed sealed tin in which I received the Diamond Class, I was struck instantly by the contrast of color. The Everyday matcha was was flatter, duller and more on the yellowish side of green. The smell was less pronounced as well. After making a latte with pure organic coconut milk (from the can), the bitterness was fortunately minimized, and I will use it for my almond flour, paleo waffles and pancakes, as well as lattes and smoothies. Thank you again, Matcha Shiba. As a daily matcha drinker, I am excited to have more sources of worthy organic matcha from which to choose.. Similar in color, so distinct in feel! I love matcha bowls. Each and every one tends to be an exquisite work of art - the textures, the colors, the designs. 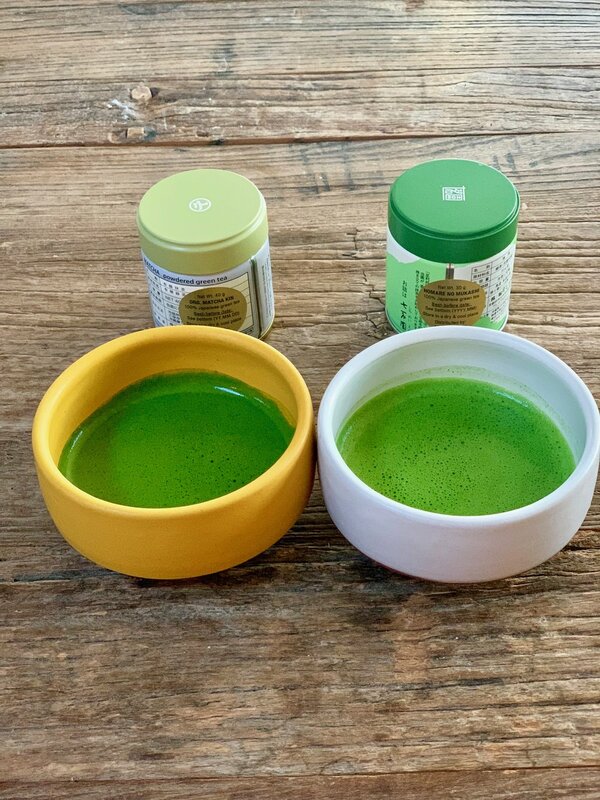 From sleek and simple to elaborately hand painted, the matcha experience becomes elevated as all your senses are awakened by meditating on the vessel from which you are drinking. Matcha bowls, or chawan (茶碗) have evolved over the centuries. The word chawan refers to any tea bowl, or vessel from which tea is consumed, and was not specific for matcha. Like the tea plant itself, the chawan from which the Japanese monks and warriors drank their matcha were initially imported from China to Japan for several centuries, until the end of the Kamakura period, 1185–1333 (鎌倉時代 Kamakura jidai, which ushered in the Japanese feudalism society and the shogun warrior caste system). Until 1333, the Japanese had a zen, pardon the pun, for bowls made from Chinese temples in the Tianmu Mountain region. These chawans, called Tenmoku in Japanese (Jian in Chinese), were made in a variety of shapes, colors, sizes and materials. As the popularity and acceptance for drinking tea grew throughout Japanese culture, artisans in the Seto region of Japan began experimenting with making their own chawans, which unlike the Chinese style, had a distinct tapered shape. The chawan bowls changed a bit during from 1336 to 1573 during the Muromachi period (室町時代 Muromachi jidai), as rice bowls, called Ido chawan, from Korea became the fashion. The Japanese called the Korean produced bowls koraimono. A bit later, during the Edo Period (between 1603 to 1868 - 江戸時代 Edo jidai), Vietnamese rice bowls called Annan ware, with their characteristic blue and white design, gained some popularity as chawans. However, during the Edo period, more and more chawan bowls were being produced in Japan, and by the late 18th century, specialized Japanese artists began producing their own intricate and unique bowls, which became highly valued in Japanese society. These artisans of chawans were considered some of the most respected and esteemed in the country. Chawan were often identified by location (country of origin), type of clay or material, or location of the oven, or kiln, in which they were heated. For example, if the bowl was made in China, the Japanese called them karamono. If from Korea, they were known as koraimono, whereas wamono referred to a chawan made in Japan. Today chawans come in all shapes, sizes, colors and materials. 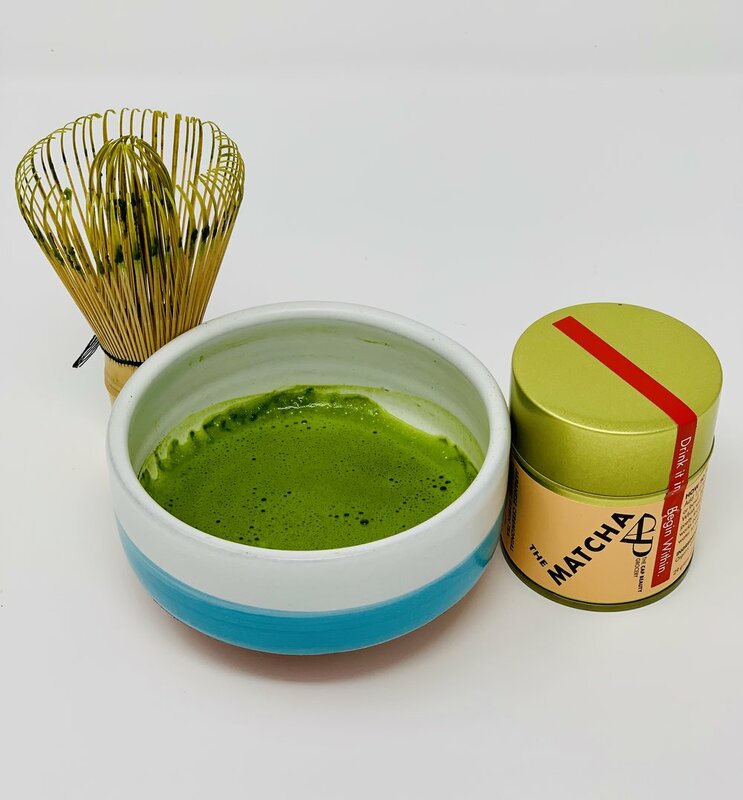 As I prefer the thicker preparation of matcha, koicha, I have developed a new passion for tumblers and smaller matcha bowls. Clay is my material of choice. 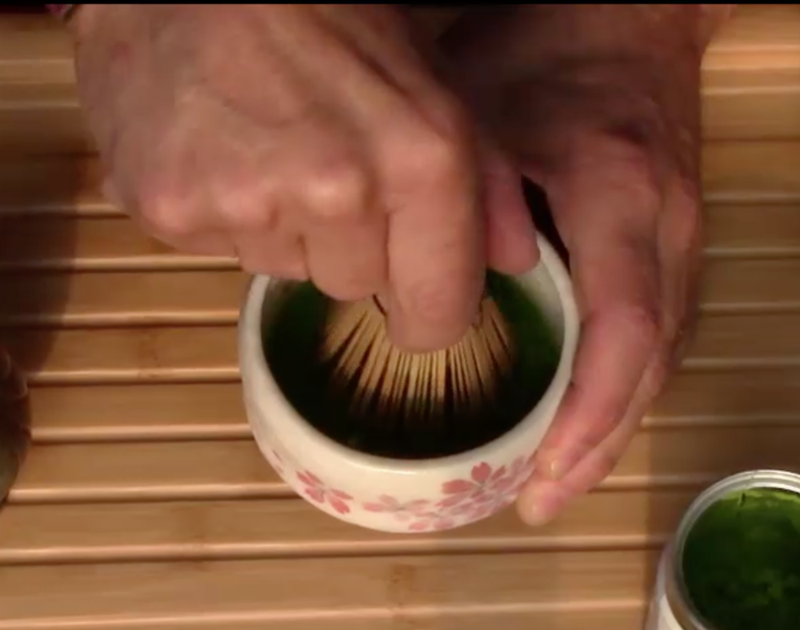 Not only do I prefer the touch and feel of it in my hands, I believe clay provides the best taste for the matcha. That doesn't mean I refrain from using my glass chawan, like my small glass bowl below from the Matchaeologist or the larger chawan from American Tearoom. With glassware, you can really see the matcha much more clearly, drinking in the vibrant color of the magical elixir and foamy creama, which also creates a wondrous overall experience as well. Glass matcha chawan from the Matchaeologist. In tea drinking cultures (as well as with my matcha-loving friends), specific chawans are assigned for different occasions - one chawan for daily use, another for guests, and yet another for ceremony. What is your favorite chawan? 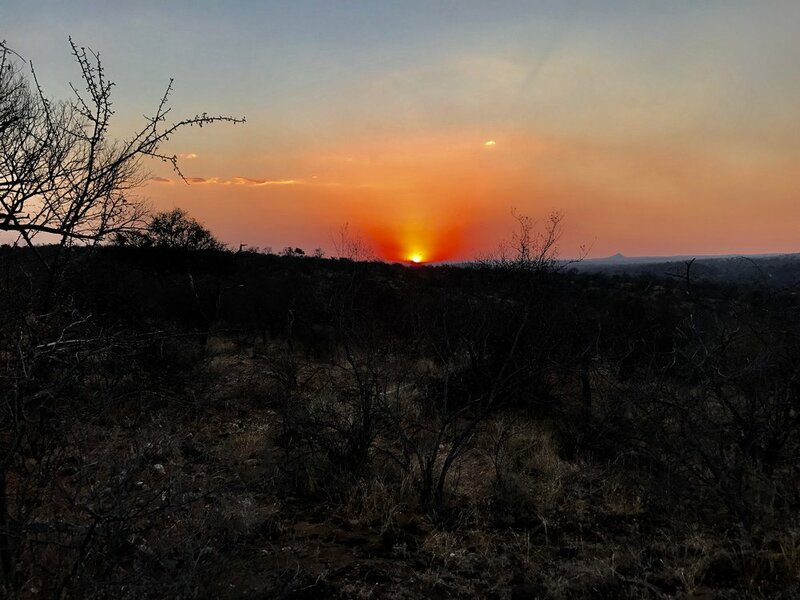 I would love to see pictures and hear your stories - where you purchased it and what do you love most about it. In my quest to try various brands, I was ecstatic that Breakaway Matcha offers matcha “flights” - a long, narrow box containing 4 different varieties of their matchas. Eager to experiment and taste, I ordered 2 flights, allowing me to sample 8 different varieties. On his website and in interviews, founder Eric Gower says he created Breakaway after being unable, back in 2010, to find high quality matcha in the States, and I am glad he did. How to best start my tasting experience? I almost sat down and tried all 8 blends when they landed on my doorstep, but I thought that might not be the best thing for my nervous system, so I settled to try two per day. Breakaway offers what they call Hyperpremium Blends supplied from various growers in Japan who are passionate about their matcha. The blends are either numbered (94, 95, 97 98. 99. and 100) or have names. Wanting to test the veracity of their website’s claim that the matcha becomes sweeter with a longer and more umami finish as the numbers increase, I purchased the top 4 numbered blends to compare (97, 98, 99, & 100). Selecting the second flight was a bit more daunting as I wanted to try them all. However, I knew I wanted to try their Hyperpremium Oganic Blend, so that left me with three other choices. Once I realized that I can always order another flight, I settled upon the blends called Rikyu, Hikari, and SE Blends. Gower likens his matchas to purchasing top of the line wine from award winning vineyards whose premier bottles might sell for hundreds of dollars. While those same wineries may also produce more affordable blends for those who will spend no more than $20 to share with friends a meal, nothing can compare to those of higher quality. After tasting all of the blends in my flights, I agree. These are not your run of the mill, every day, grocery store, pseudo-ceremonial matcha blends, but something special. I decided to breakaway from my traditional way of making matcha and follow Gower's suggestions - namely, using an electric whisk. I purchased one several months ago and have never been too fond of it. 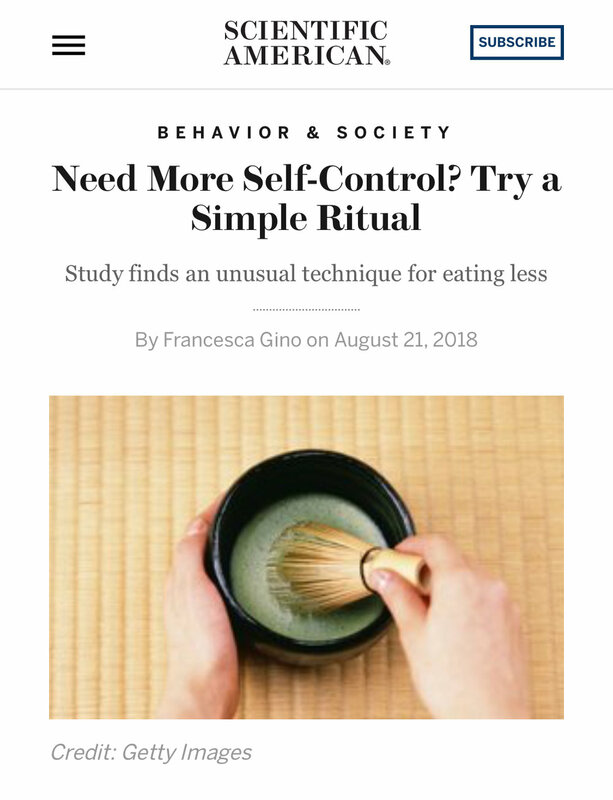 I now believe this has to do with the fact that I use my larger chawan (matcha bowls). 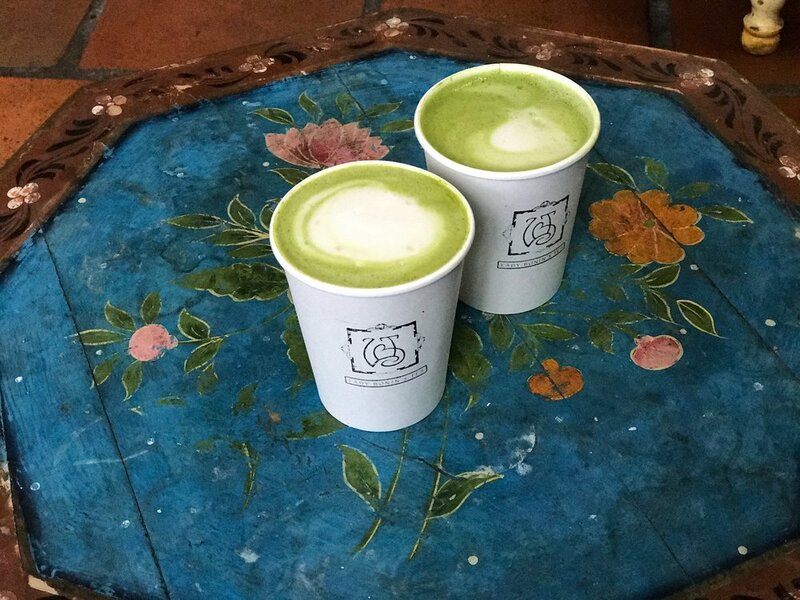 Breakaway recommends (and sells) matcha tumblers, which are exquisitely stunning (and I am trying to hold back from purchasing all of them). Gower favors koicha, or thicker matcha, for consuming these blends, which I prefer. I believe the flavor is amplified and the experience is heightened. Making koicha with an electric whisk in my typical wide chawans is not very functional, so for these tasting experiences, I found a narrower bowl, and I lo and behold, the electric whisk worked. For each blend, I used about 1 - 2 grams of matcha for about 1 - 1.5 ounces of water. Overall, these matchas are all visually enticing. As described on the website, they were all a bright, “hallucinogenic” green. Seeing that shock of bright color starts me salivating, knowing I am in for a quality experience. 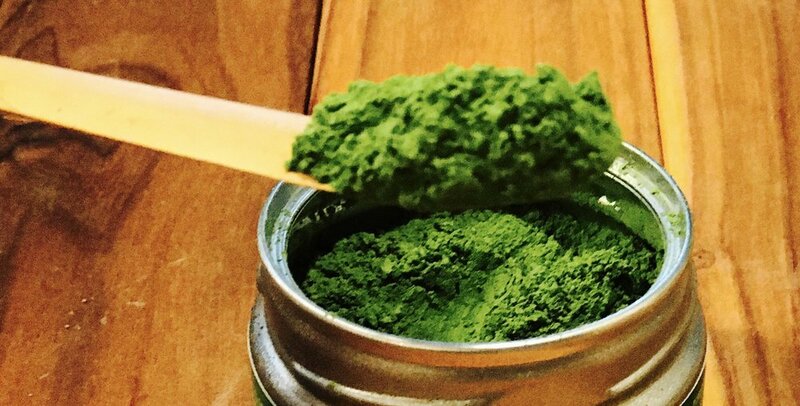 Nothing is more disappointing than opening a package of matcha to find a dull, flat green or yellowish-brown powder. Such blends never have anything but a pronounced bitter, astringent taste. Using my electric whisk created a nice, rich, thick creama for all of them. I experimented with different vessels and now believe that with an electric whisk, the width makes the difference: the wider the vessel, the more froth and foam with larger bubbles; the narrower the vessel, the more foamlike with sparser bubbles. I enjoyed the lack of even the slightest astringency with any of the numbered blends, but notice a trace of it with the Hyperpremium Organic, yet I found it delicious. Each had a slight variations in umami, where it hit my tongue, intensity or amount of time of the finish. The mid-notes varied for each,and the sweetness, present in all, was in different levels of intensity. Still, all were excellent. Choosing a favorite is challenging. Overall, what stands out to me regarding all the blends I sampled was how utterly smooth and creamy they were. Their aromas were light and not overpowering at all. Unfortunately, price point is a factor in matcha selection. Many of the blends are far more expensive than most higher quality matchas on the market. Since taste preference is a subjective and personal matter, cost does not always equate with quality or taste. However, of the numbered blends, I would select #100 ($109 per 30 grams) hands down due to its delightful creamy smoothness and absence of bitterness. The smell was fresh and grassy, with that chlorophyll scent that makes me think of a quiet, unhurried, and lazy summer afternoon. The finish lasted longer, and the umami taste was more in the front of my tongue than the lower numbers. While close in quality, they were less impressive to me only in comparison to Blend 100. I have yet to try Blends 95 ($59), 94 ($49) or 93 ($39), so I cannot speak to those (perhaps that is my next flight). As for the other blends, a 30 grams tin range in price from $169 for Hikari to $149 for SE and $129 for Rikyu. My favorite, based on my small sampling was SE for its intense bright color, thickness, and creamy umami taste. I plan to reserve Blend 100 and SE for special occasions or times I plan on deeper meditation, while the Hyperpremium Organic I will use for daily consumption. The most affordable of those I tried was the Hyperpremium Organic at $59 for a 30 gram tin. Not as smooth as the others, and with a slight bitterness, I would definitely recommend this since it is still smoother and less astringent than many matchas I have tried that were close in price point. Hyperpremium is a great choice, especially for those who demand organic. Since I only had the small jar flights, I wasn’t able to experiment with contrasting koichas with ushucha with each blend, however I had just was able to do with a few. Now all my jars are empty, so I am currently grounded for now. Once I order more, and yes, I will be ordering more, I hope to take off again.